Posted: Fri Oct 12, 2007 2:31 pm Post subject: .30-30 on elk at close range? First, I don't hunt elk and probably never will I just wanted to know if a .30-30 lever gun is at all effective on them. I'm thinking at close range, 25-30 yards max. Seems people hunt with bow and arrow and pistol at that range so wouldn't a .30-30 work, even if marginally? Posted: Fri Oct 12, 2007 3:24 pm Post subject: Re: .30-30 on elk at close range? Howdy. (imo) sure under the right conditions. I don't think it's enough gun for most situations, but with that being said at Close range and stay off the shoulder. Put a 170gr rnd nose in the boiler room I beileive you would have a dead elk. Posted: Fri Oct 12, 2007 6:32 pm Post subject: Re: .30-30 on elk at close range? I talked to an old timer in Montana that killed scores of elk with his 30-30. A lot of Alaskan natives use the 30-30 for moose and bear. It is not an ideal cartridge but with a well constructed 170 grain bullet it will do the job at close distances. Posted: Fri Oct 12, 2007 9:43 pm Post subject: Re: .30-30 on elk at close range? My brother and I have been pondering a bear hunt with our 30-30's since we were in middle school. So far I've only been crazy enough to come up with the idea... however... I think I'll have to give my brother a call and see if he's still down for the idea now that you all have provided me with this enlightening knowledge of our wonderful Inuit friends success! Posted: Fri Oct 12, 2007 10:12 pm Post subject: Re: .30-30 on elk at close range? 30-30 kills elk & moose, even bear well enough at sensible ranges. I have hunted all three, when the only gun I had was a 30-30. Posted: Sat Oct 13, 2007 8:16 am Post subject: Re: .30-30 on elk at close range? I took a forked Elk years ago with my Winchester mod 94 at 75 yards. The Remington 170 grain Core-lokt entered just behind the shoulder quartering away from me and down hill. The bullet just barely made the heart. He went around 100 yards and dropped. If I had to hunt big game the .30-30 will do it, but if I had to hunt dangerous and big...I would choose a larger or more powerful calibre...The .30-30 just doesn't give you that margin of safety that's needed. Posted: Mon Oct 15, 2007 6:27 am Post subject: Re: .30-30 on elk at close range? Back before elk mysteriously became 'bulletproof', me and a best friend hunted them every year ...him with a 30-30 and me with a 32 WS. We always got elk and didn't realize we were defying the internet gun gurus. Nowadays elk have this internet armor, although they appear to be the same beast they have envolved into a more formitable creature. Almost as if the bullet will cruise up and bounce off. Yes your 30-30 would be fine and in fact most of the elk taken that I know of were killed within the range of a 30-30. 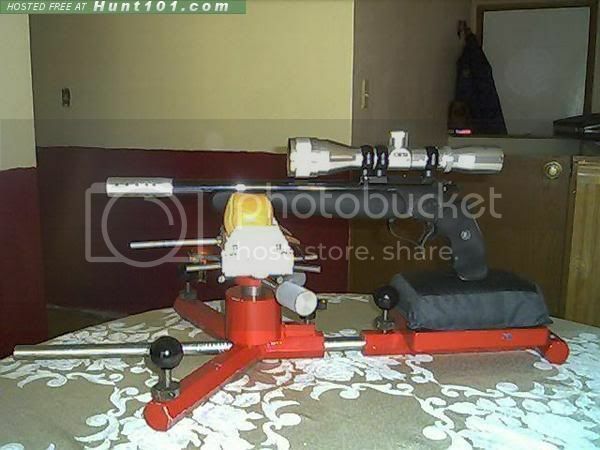 Posted: Mon Oct 15, 2007 7:56 pm Post subject: Re: .30-30 on elk at close range? Heh, heh. I hear you. I wonder just how many boatloads of elk/deer/bear/caribou/cougar were killed with the ole 30-30 before the internet. Posted: Mon Oct 15, 2007 8:02 pm Post subject: Re: .30-30 on elk at close range? 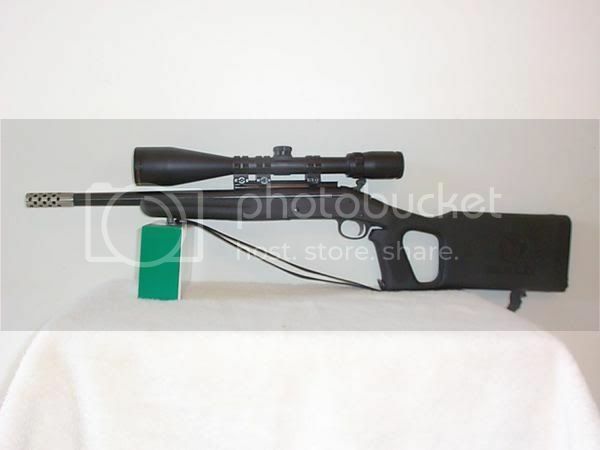 This year I am taking 3 rifles on my elk hunt - .30-06, 7mm Rem Mag - and my Marlin .30-30. Posted: Tue Oct 16, 2007 6:45 am Post subject: Re: .30-30 on elk at close range? Posted: Tue Oct 16, 2007 10:25 am Post subject: Re: .30-30 on elk at close range? Yep my old Model 64 is retired now....not because it wouldn't work, because its a Model 64 from 1956. You are correct there are better choices but sometimes we get caught up in the better choices and actually end up on the other end with magnum-itus. 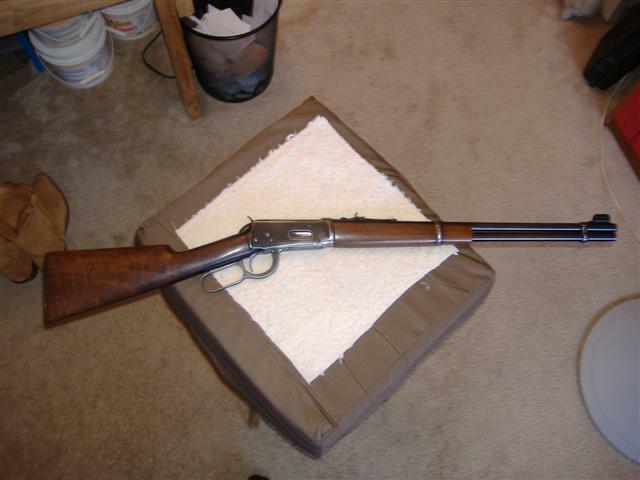 I just picked up a newer model 94 that made me think of how well that old gun worked in its day. All our elk were shot in the black timber where you were shootin 'tree to tree'. Posted: Tue Oct 16, 2007 11:08 am Post subject: Re: .30-30 on elk at close range? Posted: Tue Oct 16, 2007 11:58 am Post subject: Re: .30-30 on elk at close range? Back when I put it up I was under a couple of misconceptions ....first and foremost was that I 'needed' a magnum, I needed a scope (64s don't scope well at all), the gun had to be of modern manufacturing standards. I am older and hopefully a bit wiser and realize that's all a bunch of crap. Now ya got me thinkin I should take it out and go bust off a few. It always shot excellent and I can remember the last elk I shot with it, 75 yds, he was walking straight away, shot him in the back of the head, he dropped like a sack of turds. I know its still young, I was born in 56 and hey...I'm still young. Posted: Tue Oct 16, 2007 12:40 pm Post subject: Re: .30-30 on elk at close range? When it comes right down to it, I believe even a .22 LR placed right behind the ear taking out the brain stem will drop an elk at close range. Not that I would try it mind you but, for survival purposes, and if that's all I had I would. Posted: Thu Oct 18, 2007 8:08 pm Post subject: Re: .30-30 on elk at close range?